Target shooting at recreational or competition level can be enjoyed by both sexes, all abilities, and all ages. Members are encouraged to join the full activities of the club and take part in competitive matches in one of the 40 or more separate competitions entered by the club members each year. 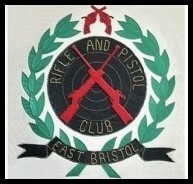 These consist of teams or individual members shooting in postal or shoulder-to-shoulder competitions for all disciplines shot at the club. In all cases the competition will be against people of equal ability.